We continue to follow Civil War soldier, Jens Dahle, a private in the 2nd MN through the eyes of a fellow prisoner, James Eberhardt. The dead house was the the building where they put the bodies until they loaded them on the wagon and hauled them out of the enclosure and buried the bodies. James and Jens have now been in prison 100 days. None of those victories affected life in the camp; in fact it is not known whether the prisoners were even aware of these events..
What I have done since the last post: prepared for our SGS Board meeting by generating my Publications report, put together a proposal to the Board for a Family History Writing Contest with a real prizes! Contacted the Southern California GS to see if I could use their Family History Contest rules and FAQs for ours–they said yes (cooperation between societies is so amazing! ); also contacted the writer of the dissertation I wrote about a few blogs ago. Finished up writing my notes for my KDP– got my 500 words in today! AND had a very nice Thanksgiving at home with hubby–with full meal for the two of us! Anyone want some left overs? George N. Barnard, photographer, “Atlanta, Ga. 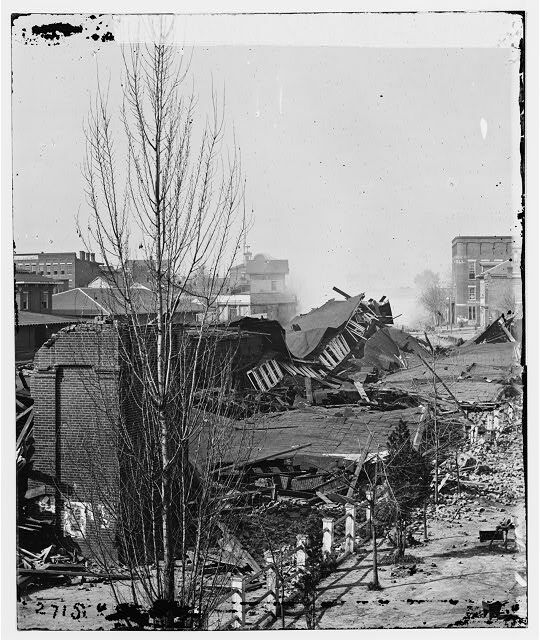 Ruins of depot, blown up on Sherman’s departure,” digital image NARA (http://www.loc.gov/pictures/item/cwp2003000882/PP/ : accessed 27 November 2014). The History Place, “Civil War 1861-1865: A House Divided,” timeline (http://www.historyplace.com/civilwar/ : accessed 27 November 2014). James expressed the growing depression of the camp in his diary on 25 November. Prisoners in Salisbury, including Jens had little to do except think about survival. 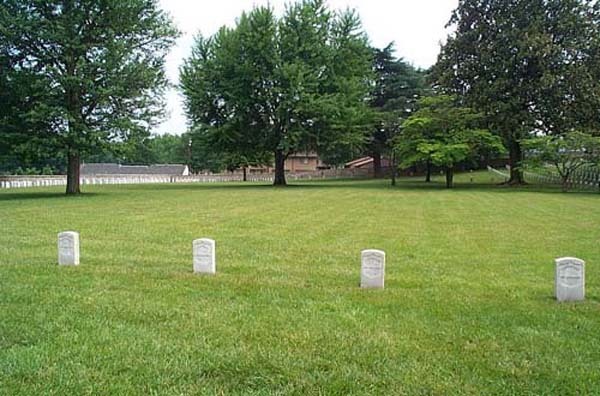 At Andersonville, a prison of the same style as Salisbury and a notorious Confederate prison made more famous by the book of the same name by MacKinlay Kantor, death was as commonplace as at Salisbury. Dorence Atwater, A physician’s assistant and Union soldier, recorded the name of many soldiers who died at Andersonville and where they were buried–at some risk to himself. What I have done since the last posting: I am working (finally) on my Kinship Determination Project. I am setting a goal of a minimum of 500 words per day–no matter what. I am just trying to get the story written as this seems to be a struggle for me. Sometimes the words flow, but for me right now–they aren’t. photo used with permission from http://www.GoRowan.com, accessed 4 November 2014. In previous blogs, I tracked Jens Dahle’s experiences 150 years ago as he participated in the Civil War, fighting for the 2nd Minnesota under 1st Lt. Mahlan Black. The Confederates captured Jens at Ream’s Station, a minor skirmish, on the 25th of August and took him to Libby Prison in Richmond (Virginia) for intake on 27 of August. Shortly after that he was moved to Belle Island, now called Belle Isle, which overlooks the city. On 8 October 1864, Jens, James and a thousand or more other prisoners were loaded unto a rail car and hauled to Salisbury, North Carolina. He may have been one of the lucky ones who rode inside but if not, he rode on top of the car exposed to the unseasonably cold Fall in the South. James was of stronger constitution than Jens who had already been confined to a hospital for 7 months due to dysentery or other sanitary condition related disease. James, a sergeant in Co. G, of the 8th Pennsylvania RES felt responsible for his men and worked to keep his own physical condition strong and garner rations as they were available to assist his men. He kept his physical condition strong through exercise and constantly taking quinine when it was available even when not outwardly sick. Here Jens would stay to the end of the war. The experiences of James, to the extent they could have been experienced by Jens, will be relayed going forward. What I have done since the last posting: I have worked on a number of presentations for the upcoming speaking engagements. I am ready for the all day-er at Whatcom County, and I am starting to work on the presentations for the LDS Family History conference in early November. the weather has been marvelous here in Seattle and so I also caught a little sunshine today. “History: Salisbury Confederate Prison,” Salisbury, North Carolina, online database: http://www.salisburync.gov/prison/1.html. Next posting: 8 October 1864. Jens is transferred to Salisbury Prison. “Exchange of Prisoners in the Clvii War,” Civil War Home, online (http://www.civilwarhome.com : accessed 18 January 2012) McLaughlin, 245. “Civil War Prison,” Civil War Home. Where was Jens Dahle 150 years ago today? Just two days previously, the Confederate Army led by Hampton captured 1000 Union soldiers at the Battle of Ream’s Station, Jens Dahle was one. He and his fellow prisoners were loaded onto a rail car and taken to Richmond, Virginia. 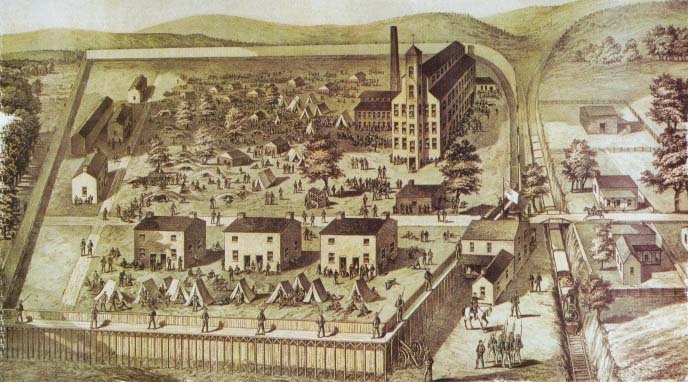 As with most Union prisoners, Jens was processed through a warehouse conscripted by the Confederate army and called Libby Prison. 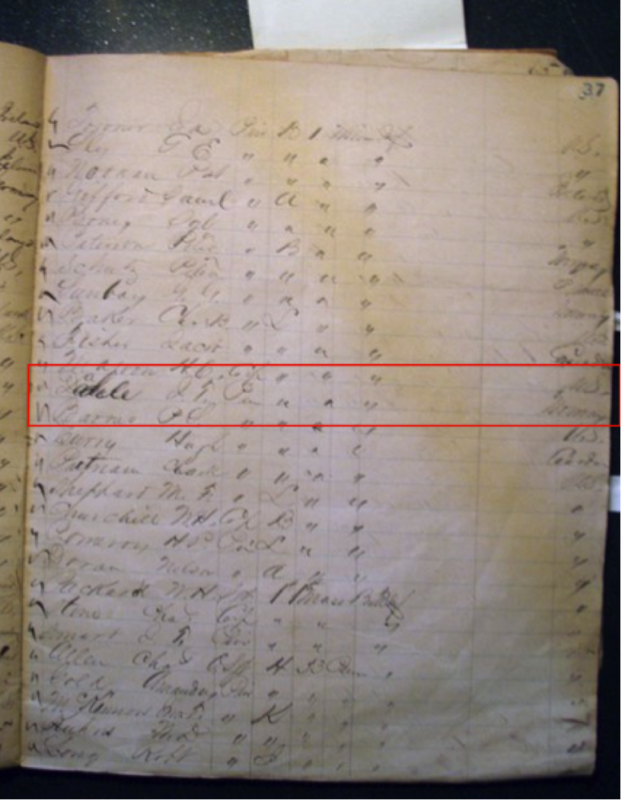 The photo on the left is the original Confederate roster of Union prisoners processed at Libby on 27 August 1864. Jens Dahle is noted with the red box. Officers were imprisoned on the upper floors; the lower floors were for the processing of prisoners before moving the regulars out to other locations. Confederate Record of Jens T. Dahle. List of Federal Troops Captured at Reams Station, Virginia on August 25, 1864 and Recorded at Confederate Military Prison in Richmond, Virginia August 27, 1864, NARA, Identifier 616054; Record Group 249, Records of the Commissary General of Prisoners, 1861-1905. Personal observation by Jill Morelli, July 2013. The year 1864– 150 years ago– was a pivotal year of the Civil War. On this day, 150 years ago, Jens Dahle, a Norwegian immigrant, was captured at the Battle of Reams Station. We know what lies ahead– Petersburg campaign, Sherman’s March to the Sea, Lincoln’s reelection (not a forgone conclusion), the fall of Richmond, the surrender at Appomattox and the assassination of Lincoln. Let’s watch these events through one soldier’s eyes– those of Jens Dahle of the 2nd Minnesota. To the extent known by me, I will post the activity of Jens on the date of the 150th anniversary of key and known activities. The activities are obviously not regular and thus the postings will be irregular as well. The last posting in the series will be 30 April 2015. But, who is Jens Dahle? After four years in Minnesota and with still few prospects but with a reasonable command of the English language, Jens enlisted in the Union Army on 20 January 1862 and was assigned to the Minnesota Sharpshooters. Doris Gilpin Faust described “sharpshooters” as “killing machines” in her book, The Republic of Suffering: Death and the American Civil War because they were the ones selected for their accuracy with a gun and who served as snipers. Where was Jens 150 years ago today? This was a minor battle characterized by strategic blunders by the generals of the Union Army in their positioning of troops on the hill. Jens was under the command of Brigadier General John Gibbon and positioned on the south side of the hill which was attacked by Confederates units under Hampton’s command. Jens was not alone–over 1000 Union soldiers were captured at this time. 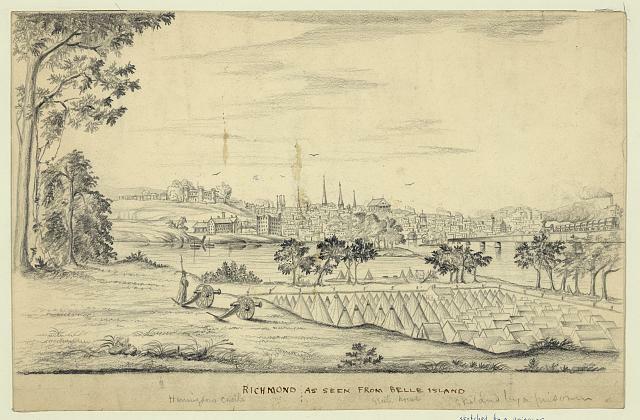 Over the next two or three days, he and the others captured travel to Richmond, Virginia. Our thoughts are with you, Jens and all the POWs who have sacrificed for this country. I respect and honor the courage it took to face the long odds you endured. Next installment: 27 August 2014, Richmond, Virginia. Leikanger parish, Sogn of Fjordane County, Norway, Jens Torkelson birth entry (25 March 1837); original parish records online Digitalarkivit (http://arkiverket.no : accessed 23 October 2011) entry 44, 11. Theodore Christian Belgen, Norwegian Migration to America (1825-1860), (North Stratford, New Hampshire : Ayer Company Publishers, In., 1969) 5. Belgen, 22. Leikanger parish, Sogn og Fjordane County, Norway, Jens Torkelson Tjon moving out record (14 April 1858); original parish records online Digiatarkivet (http://www.arkiverket.no: accessed 23 October 2011) 248. 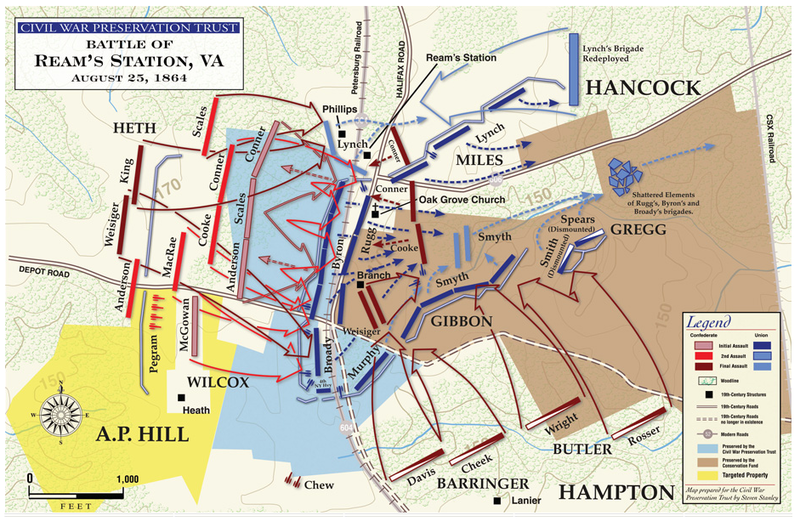 “Maps of Reams Station, the Second Battle of Reams Station,” Civil War Home (http://www.civilwar.org/battlefields/reamsstation/maps/reamsstationmap.html : accessed 19 November 2011). Research Plans! I have become a believer. This past month the ProGen class has been working on Research Plans. I got mine written and along the way I learned a lot about why people write them and their value. …and I received some great comments from Yvette! Thank you. Her comments illustrated how (and why) a research plan for a client is helpful. In discussions with others in the class, a second scenario was presented. One of the class members uses a very short (one page or less) research plan every time she is researching problem A and she runs into problem B. Problem B could totally divert her from working on problem A. Instead, she quickly writes a research plan on problem B and move back to Problem A. She stated sometimes she ends up with quite a stack of problem statements/research plans but at least she knows where the gaps are. Pretty cool and probably obvious to many! I have no clear system for tracking identified problems but ones that cannot be addressed at the moment. This seems like a reasonable way to do it. One of the common issues with the research plans of the class is that they ended up writing more of a report and less of a plan. They incorporated the implementation of the plan as part of the plan. It seems to me that “A Plan” is strictly that….what you will do in the future to address the problem. Even BCG when it requests the research plan, restricts it to one page (part of the document work segment.) Many of the commenters suggested alternative sources and places to look. While this was helpful it didn’t address the effectiveness of the structure of the plan itself. The lesson for me was to see how quickly I could write a research plan–the quicker I write them then the more likely I am to write many more. I need to keep refining the process and worry less about the product. I also learned that one type of problem, say document retrieval, might not elicit the need for a plan and others might vary in what is needed to include. What I have done since the last posting: submitted my assignment (took comments and revised it accordingly and that is what is posted here), participated in the group critique, got out a SGS newsletter (painfully), attended SGS Board meeting, got 2 more clients (! ), got a request to present my Civil War Prisons presentation to SGS (end of April) and to present at the fall seminar. I also started researching doing house histories (I will blog about that soon), read Inheritance in America: from Colonial Times to the Present by Shammas (I’ll blog about that as well), skimmed The Law of Sexual Discrimination by Lindgren, and am in the midst of reading Visiting the Courthouse. I found that my great grand uncle purchased a parcel of land using the Timber Culture Act, which I had never heard of; that’s a blog topic for the future as well. I am starting the layout of the Spring SGS Bulletin, which must be published by the end of the month. Whew! It’s an over achiever month.